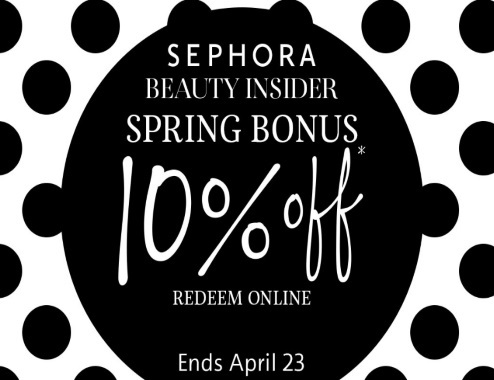 Sephora's Spring Spring Bonus Event is on now for Beauty Insiders! Save 10% off your entire purchase in-store and online! We've been blogging this event for every level of Beauty Insider membership so that no one misses out and because I am a huge Sephora fan myself and this sale is great! Sephora only has sales a couple times a year, so do not miss out! Please note the different promo codes and start and end dates for each level of Beauty Insider membership below!